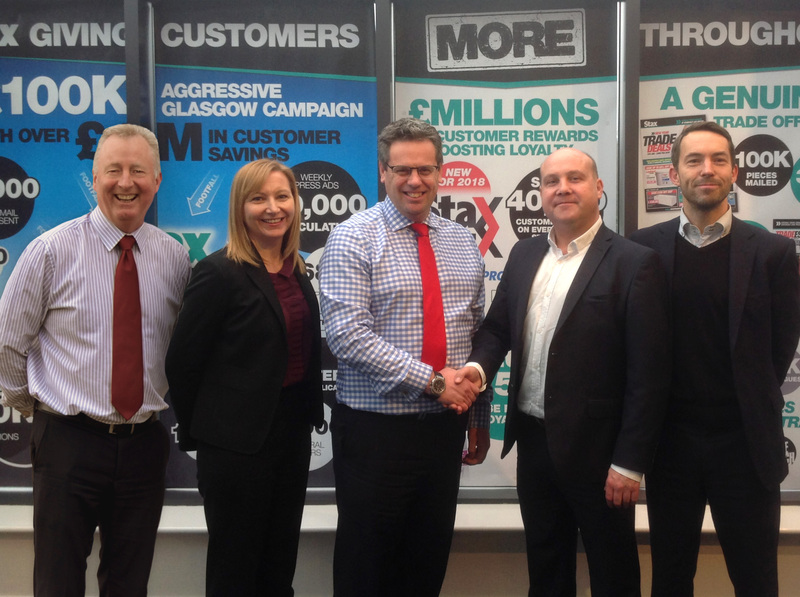 Leading non-food wholesaler, Stax Trade Centres and quality paint brush and roller manufacturer, Harris have agreed and finalised a deal that will see Stax granted Preferred Wholesaler Status for Harris' full range of products. The deal, which was agreed in conjunction with bira direct, will give Stax customers and bira members access to the full range of Harris products. Stax will distribute Harris' products to their customer base of over 50,000 trade and retail businesses via their nationwide delivered service and six warehouses across the UK. It's a strategic partnership that will hold a number of key benefits for those customers who previously placed orders directly through Harris. Prices will remain the same, although with Stax's additional discounts, monthly offers and incentives it's possible that Stax customers and bira members will be able to source even cheaper. Customers will also be able to reduce overstocking as Harris products ordered through Stax can be done so in any quantity from singles to cases, although an additional 5% discount will be available on full cases. In addition, these customers will also have access to a massively expanded range of products. Sourcing Harris supplies through Stax will also offer customers a faster delivery turnaround of 1-3 days, with ordering available via dedicated reps, phone, online and in-branch. The minimum order value for carriage paid can be spread across many more product lines making it easier for customers to diversify their ranges without meeting multiple minimum orders. Chris Scott, Sales Director at Harris said: "We are very pleased to be working in partnership with Stax to deliver the extensive Harris product range. The new arrangement will help increase ordering ease for our valued customers and increase the distribution of our products." Eddie Brady, Chairman at Stax Trade Centres said: "We are delighted to enter a strategic partnership with Harris, a name synonymous with quality decorating tools for the discerning customer. Harris customers can look forward to Stax's award winning operation and can take advantage of a wide variety of additional products and unique services to help grow their business." Jeff Moody, Commercial Director & Managing Director, bira Direct said: "This agreement is great news for real independent retailers who can benefit from a vast range of quality Harris products alongside the flexibility of ordering and delivery that Stax brings to our members." Retailers could also join bira and gain instant access to bira Direct allowing them to order from up to 180 suppliers, including Stax Trade Centres, as part of their membership. To join, visit www.bira.co.uk or call for free on 0800 028 0245.